The desire for agricultural sustainability is well recognised in the UK’s agricultural industry and is now accepted by most farmers although its implementation was restricted by lack of sound environmental impact data that considered the production cycle overall. It is only with the development of risk assessment techniques and sophisticated models to map environmental fate that the problem could be addressed. Combining economic appraisal with environmental impact assessment allows more informed judgements to be made on possible socio-economic impacts and provide a better assessment of the sustainability of UK food production. Reducing environmental burdens such as greenhouse gas (GHG) emissions and primary energy consumption in agricultural systems has important implications for the mitigation of climate change and improving resource efficiency. 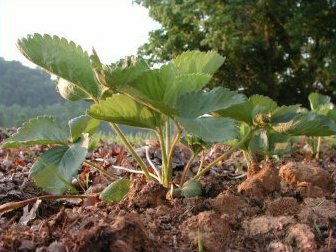 Strawberry (Fragaria xananassa Duch) crops are a key component of the UK soft fruit sector and may be grown by a number of different methods, many of which use materials such as plastics to extend the growing season. This study identified a total of 14 production systems with six additional sub-systems grown for between one and three years. Main variables that defined a system were growing short-day (Junebearer) or everbearer varieties, organic production, covering with polytunnels or grown in the open, soil grown (with or without fumigation) or container grown (with peat or coir substrate) and summer or spring planted. The study has calculated the global warming potential after 100 years (GWP100), primary energy consumption, nitrogen loss, soil erosion, net margin, labour requirement and visual impact. This two year project was carried out in collaboration with East Malling Research and industry representatives and growers applied environmental impact, economic & social impact assessment techniques to a range of strawberry production scenarios to develop a better understanding of the sustainability of the UK crop. Key factors included materials used for tunnels, mulch and irrigation pipe, the sterilisation of soil with fumigants, delivery of irrigation water and the use of peat substrate in some container grown crops. Seasonal crops without covers grown where a rotation of sufficient length reduced Verticillium had the smallest environmental burdens per tonne of class 1 fruit. In soil grown systems a second or third cropping year prolonged the useful life of mulch, soil fumigants and fuel consumed during bed preparation and distributed burdens between multiple as opposed to single crops. The use of covers tended to improve efficiency most during year one, favourable in container and organic systems.